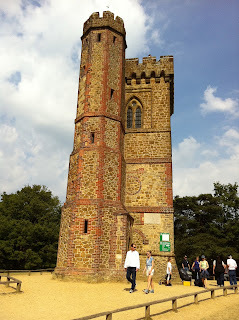 My Orange Brompton: The highest point in Southern England - Leith Hill Tower on a Brompton? 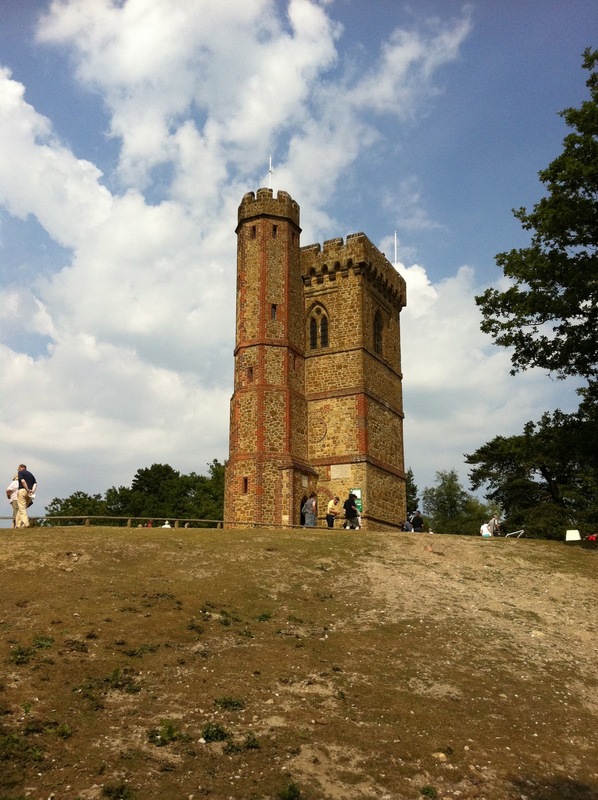 The highest point in Southern England - Leith Hill Tower on a Brompton? Today we decided to head out of London and go somewhere different. Our inspiration came from an excellent little book, 'Adventure Walks For Families' by Becky Jones and Clare Lewis. One of the adventures listed the highest point in Southern England. Better still it wasn't too far from the smoke. We were intrigued and decided to head off. Finding Leith Hill Tower wasn't too hard but beware that a Sat Nav will take you up some poor unfortunate persons private drive. The site is National Trust and the car park was free and provided excellent views to what was to come as you can see from above. (I have provided lots of details of how to get there at the bottom of this post). Leith Tower on a hot summers day. Yes I admit we did take the Brompton's and child bikes as we had heard that it was very popular with cyclists. 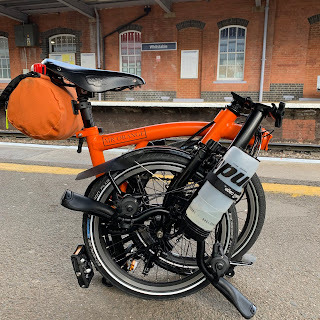 It didn't take long to realise the Brompton's and child bikes weren't really going to cut it up 45 degree gradients and off-road territory. This was soon justified by all the very expensive mountain bikes with copious gears huffing and puffing up towards the Tower. The Tower stands over 60 feet. 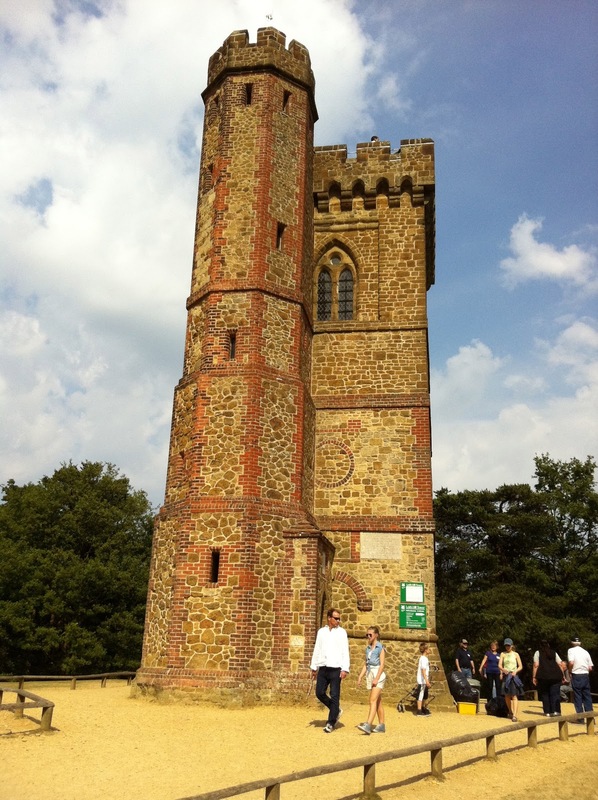 Leith Hill Tower was the brainchild of Richard Hull. He decided that he wanted his hill to exceed 1000 feet. 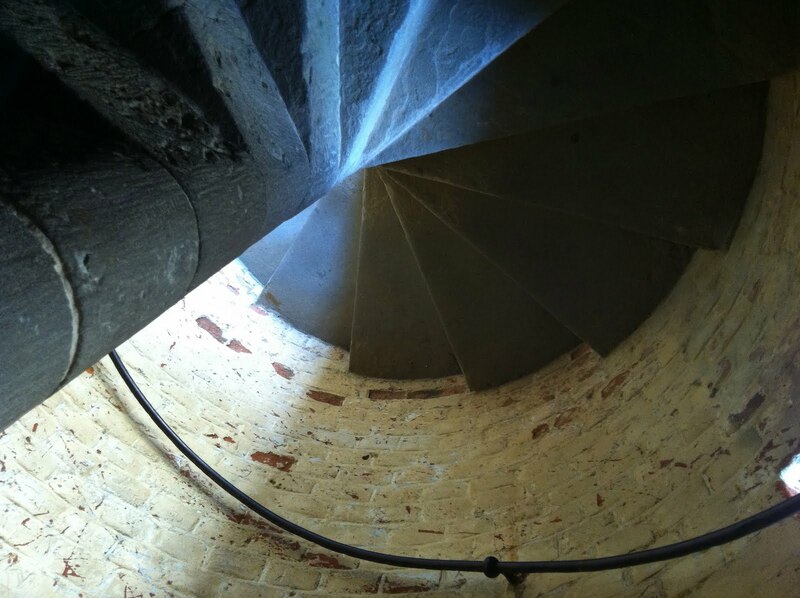 It was built in 1765 and at a height of over 60 feet he was able to achieve the magic 1000 feet. 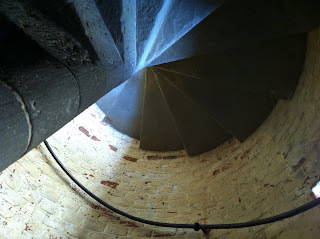 The stairs up to the Tower. From the top of the Tower on a clear day one can see St Paul's Cathedral and even the English Channel! As you can see form the photos it was a really hot day today, so our view didn't extend that far. The highest point in Southern England. Hull was actually buried under Leith Hill Tower and some say that he was buried vertically - head first! What a way to go. Another view. St Paul's is somewhere in the distance but it was too hazy to see that far today. At the foot of the Tower one can buy postcards, drinks and ice creams - all needed after the 3/4 mile walk from the car park. 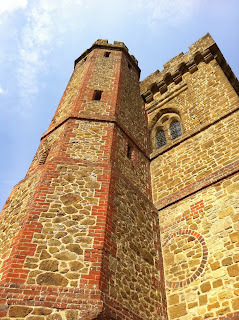 To climb the Tower costs £1.30 for adults and 70p for children. For that you also get a free quiz leaflet, pencil and telescope token. Cheap at half the price. We had a great time there and our children thoroughly enjoyed the walk. There is a vast amount of wildlife on offer and we spotted Buzzard, Hobby, Sparrow hawk and kestrel. Unless you have one of those butch mountain bikes, don't bother brining the Brompton. many rights of way. View local cycle routes on the National Cycle Network website.